Nitesh Daryanani is a lawyer by training, who spent four years as a Junior Advocate in the corridors of the High Court of Delhi and the Supreme Court of India. Chasing higher ideals, he followed that up with a year as an academic researcher in the field of patents & competition law at the National Law University, Delhi. In the summer of 2017, he began work as a content writer for Ekalavyas. He has been a basketball fanboy since the turn of the millennium, and enjoys the opportunity to contribute through his passion for writing. 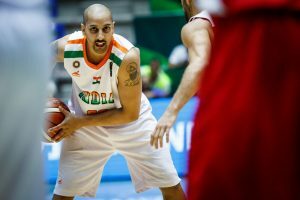 The Indian men’s basketball team continued their FIBA Asia Cup 2017 campaign with a 54 – 61 loss against Jordan on Friday. 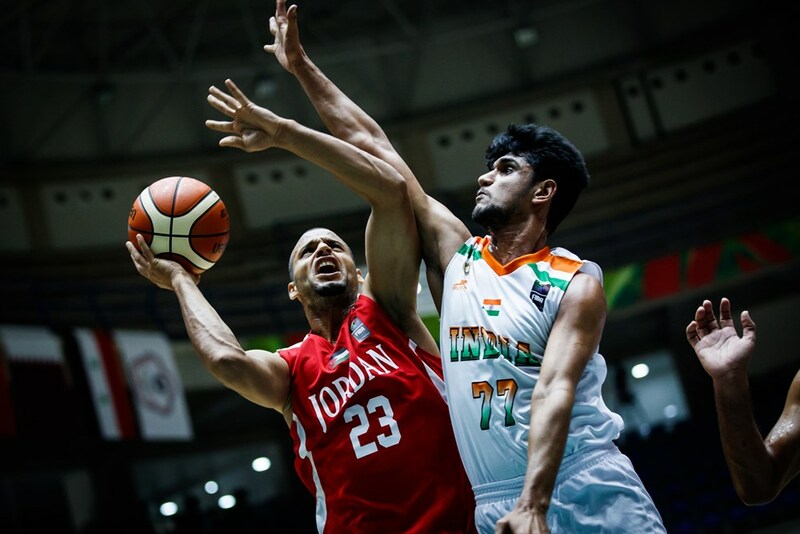 Jordan are ranked only three spots below India’s previous opponents Iran, but the gulf in quality was exaggerated by the fact that Jordan were missing the services of their naturalized players Kevin Ware and Dar Tucker. At the start of the game, the Indian men looked more focused than they were in their listless start against Iran. They sank some early buckets and raced to a 12 – 8 lead, but Jordan rallied and wrested back a one-point lead by the end of the first quarter. At the defensive end, coach Philip Webber opted to persist with the zone, and his charges improved on their execution from the last game: they challenged Jordan to take the outside shots, limiting them to a sub-par 34% field goal percentage. But the game was one of uncanny symmetry, as India shot an identical 34% and racked up only 54 points in their second consecutive game. Both teams had stretches where they failed to score: every time the Indian men closed the gap, Jordan hit back with crucial buckets. For India, there were encouraging contributions all round, including a cameo from 17 year old point guard Baladhaneshwar Poiyamozhi, who played with urgency and made some good plays on transition in the second half. But the good work was undone by frequent lapses of concentration, typified by a sequence where young forward Muin Bek Hafeez stepped up to hit a 3-point shot, but turned the ball over on the next play, allowing an easy layup. After two losses in their first two games, India will now face Syria in their final game of the group stages. Like India, Syria have lost both of their games but ran Jordan close in a thrilling finish, losing by only 2 points. Sunday’s game is effectively an elimination game as both teams bid to finish third in the group and qualify for the next phase of the tournament. In Syria, India will come up against a team that boasts substantial size in the paint, between Ivan Todorovic (2.14m) and Abdulwahab Al-Hamwi (2.18m). It is the ideal time for the Indian bigs – Satnam Singh and Amritpal Singh – to step up, having so far struggled to give their team an outlet in the post. Against Jordan, good positions in the paint were wasted too often by poor footwork or sloppy ball handling. India will also be concerned by the fact that they have failed to score more than 54 points in either game so far, whereas Syria scored more than 60 points against both Jordan and Iran. Syria are led by veteran Michael Madanly, who dropped 22 points against a tough Iranian side: a spectacular feat considering that he is 36 years old and is featuring in the FIBA Asia Cup after ten years away from the top flight. The Indian men will need to tighten up defensively, and cut down the turnovers if they are to contain the Syrian offensive threats. At the moment, there seems to be no man better suited for the job than head coach Phil Weber, who was ruthlessly proactive by the sideline in the game against Jordan. He kept the Indian men on their toes, yanking them off the floor following a poor play, and buzzing in their ears before sending them back in. After watching the success of the Indian women at the FIBA Women’s Asia Cup in Bengauru last month, Indian basketball fans will be counting on another challenge deep into the tournament. The FIBA Asia Cup 2017 is being played in Lebanon from 8-20 August 2017. For the first time, the tournament features Oceanian powerhouses Australia and New Zealand, as sixteen teams battle for top honours in Asia. India is in Group A, along with Jordan, Syria, and three-time Asian champions Iran. The remaining groups comprise the following teams: Iraq, China, Philippines, and Qatar (Group B); Kazakhstan, Lebanon, Korea, and New Zealand (Group C); and Japan, Hong Kong, Chinese Taipei, and Australia (Group D). The top three teams from each group will advance to the second phase, where they will be divided into two groups of six teams each (Groups E and F). The top four teams from each of these groups will advance to the quarterfinals.